Sarah Willingham Biedenharn was born November 3, 1929 in Richmond, Virginia to Harris and Lynn Lewis Willingham. She died November 2, 2011 in Austin, Texas, where she had been a resident for many years. She married Lawrence C. Biedenharn, Jr. in 1950, just before graduating from Wellesley College. While he was on the Yale physics faculty, she received her JD from the Yale Law School. They lived in Houston while Larry was an Associate Professor of Physics at Rice University and she became a member of the Texas Bar Association. They moved in 1961 to Durham, N.C. where he was a Professor of Physics at Duke University. Sarah got her private pilot's license in 1989. They had extended stays in Copenhagen, Geneva, Frankfurt, Palo Alto, Austin, and Los Alamos when Larry visited other research facilities. They finally moved to Austin in 1992 when he retired and became an Adjunct Professor at the University of Texas at Austin. Sarah was widowed in 1996 after 46 years of a very happy marriage. She loved living in Austin and especially at Querencia. She was an active member of the Episcopal Church of the Good Shepherd. 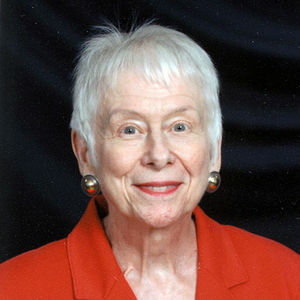 She was a board member of Caritas for many years and an enthusiastic supporter of the Foundation for Women's Cancer, Safe Place, Wellesley College, and the building of the Long Center. She was one of Austin's Perfect Ten in 2007. She enjoyed a great many trips throughout the world. Friends and family gave her much pleasure. She is survived by her children, John Biedenharn and his wife, Tina of Sunset Beach, California and Sally Biedenharn of Destin, Florida; her grandchildren, Lauren and Johnny; her brother, Harris Willingham, Jr.; her brother in law, Robert Biedenharn; and many nieces and nephews. Sarah was a fourteen year survivor of ovarian cancer and was grateful to Dr. Ellen Smith for her dedicated care over those years. She wanted to thank Ross Dickmann and all her many friends at Querencia for the unexpected, more than three happy years there. Finally special thanks to Kathleen Floyd of Hospice Austin. A memorial service will be held at 3:00 p.m. on Saturday, November 5, 2011 at Episcopal Church of the Good Shepherd, 3201 Windsor Road. In lieu of flowers, memorial gifts may be made to the Episcopal Church of the Good Shepherd, or the Foundation for Women's Cancer, 230 Monroe #2528, Chicago, IL 60606, or a charity of your choice. Thila and I express our heartfelt condolences to the family of Sarah, especially to John and Sally, your mother was a wonderful and generous person, a devoted mother and wife, and a person of many talents who had much to offer all who knew her. We have been blessed in many ways by the care and generosity shown to us by Sarah and Larry, dating back (for me) to 1974 in North Carolina and subsequently Texas, also Los Alamos, as well as a visit in Germany. We have many fine memories which we treasure. May God bless the memory of Sarah and Larry, and may God be your comfort in your loss. Sarah became one of my first friends when I moved to Querencia, and remained so. She was a hero in how she lived with the knowledge of 'no cure' to me; as well as a very good friend.